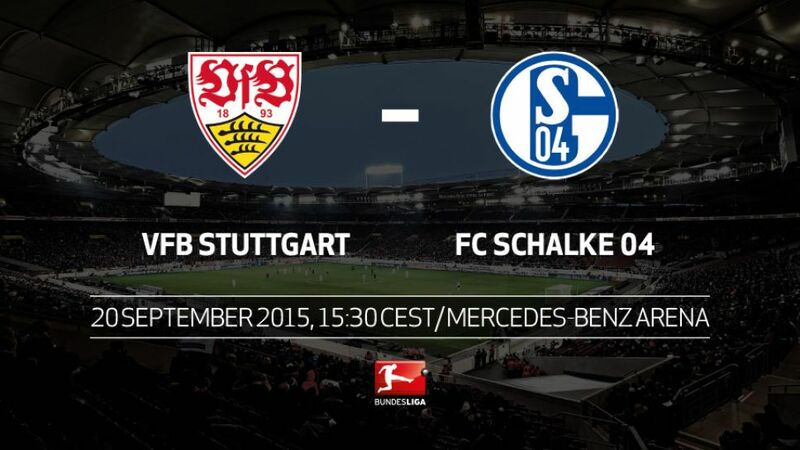 Stuttgart - VfB Stuttgart have set an unwanted club record as they head into Matchday 5 without a point – Sunday’s opponents, FC Schalke 04, will hope to add to the Swabians’ woe (kick-off: 13:30 GMT/15:30 CEST). Stuttgart have never before been without a point after the opening four matches of the season. They and Borussia Mönchengladbach are the 15th and 16th clubs in Bundesliga history to suffer such a fate.The 12 goals Alexander Zorniger’s men have shipped in the first four matches is also a club record.Stuttgart have lost both their games at the Mercedes-Benz Arena to date – the club has never tasted defeat in the first three home matches of a Bundesliga campaign.Schalke overcame 1.FSV Mainz 05 2-1 last time out – they have not recorded back-to-back Bundesliga wins since December 2014.The Royal-Blues have won just one of their 11 away games in 2015 (0-3 at SV Werder Bremen on Matchday 1). They have failed to score on seven of those trips.